How is outsourcing medical billing with MedBill good for business? More and more medical practices are changing their collections process and handing over the large responsibility of medical billing to outside companies. The benefits of outsourcing this job far outweigh the benefits of a practice maintaining this responsibility themselves. The most obvious benefit of course is the growth in efficiency, as a medical practice relieves itself of the burden of being spread too thinly, and allows staff to focus more on medical services and patient care than anything else. How can MedBill benefit your practice? Financially, using MedBill to run your billing process makes a lot of sense from both a short and long term perspective. MedBill prides itself on being one hundred percent focused on medical billing and collections. The focus we maintain, along with the commitment we have to our clients is what makes us the number one company in our field. As a medical practice, you have one major role: providing quality healthcare to your patients. 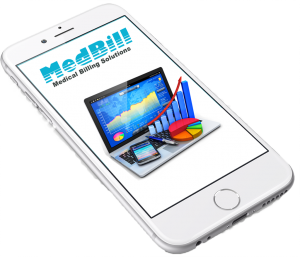 At MedBill, we think that should be your only major concern, and we want to help you by taking over your billing and collecting your profit for you. Over the past few years, MedBill has regularly been able to bring in up to 15% more of payments due than a practice can do so with its own staff. The profit increase has served many practices in the current competitive market, allowing for more money to be invested in the latest technology, highest quality products and the best staff. When your practice chooses to outsource their medical billing to us, you relieve the need to recruit and pay an adequate number of staff to do this job within your office, whose sole focus is this. We provide the manpower so you don’t have to. This means that you save money every year in salaries you would have had to pay to your staff; time saved in training and overseeing staff and any benefits that were part of their employment package no longer need to be provided. Your cost to MedBill is only through a percentage of your reimbursed claims, meaning that even if the reimbursement rate is high, the percentage we take will never increase, and the cost to you will be less than that of salaries for your own staff to fulfil this role. When the finances of your medical practice depend heavily on the work of one or two employees within your office, the challenge of maintaining a strong flow of cash becomes more apparent. If one staff member calls in sick or is on vacation for a few days, most likely, bills will not be submitted in a timely and efficient fashion. This build-up of work and lack of efficiency affects the bottom line and ultimately can affect the success of the medical practice, especially with such a competitive healthcare market. At MedBill, we train all our staff to be capable of handling one hundred percent of our clients, which for you, means that whenever you need us, and whenever we’re working for you, you have any one of our team members available to assist you. No more claims piling up, no more juggling roles, we’re here for you. MedBill has a team of trained professionals who review one hundred percent of the claims that we send out, checking for errors that could result in potential rejected claims. Although office staff will do their due diligence in making sure claims are accurate, when handling so many claims between a small number of people, efficiency and speed is the main goal. We provide a dedicated Document Review Team whose focus is to fix errors and avoid mistakes that could cost the practice reimbursements. When trying to provide quality healthcare, after qualification and experience, the next most important attribute should be doctors and staff who care for the patients with demeanor as well as their expertise and time. Here are two ways MedBill can help you. When you allow MedBill to run the financial side of your medical practice, it frees up you and your staff, no matter how small or how large, to focus on providing quality care for the patients. It becomes challenging for Physicians to do their job excellently with care for their patient if they are held back by the financial toils of running a medical practice. Allow us to serve you, so you can serve your patients. There is a well-known struggle with balancing patient care and billing issues within a practice. Managing the task of treating your patients well but having to chase down payments is no easy job, but there shouldn’t have to be a choice between the two. What if you can ensure maximum reimbursements, and maintain that strong doctor and staff to patient relationship you desire in your practice? Not only does MedBill become the middle man responsible for making sure you get paid, you and your office staff become less concerned with chasing payments, and more focused on giving attentive, quality service to patients. The office staff would no longer have to juggle the role of billing and greeting patients all at the same time. A number of Physicians and Practice Owners have expressed concern that their way of running their business is not with a completely hands-off approach, and that handing over the financial reins to someone else is not something that would work for them. Well, at MedBill, we understand the importance of being in control of your practices finances, and we run our operations to make sure you feel that way. Of course the role of bring in money from insurance companies or individual payers is handed over, but the overall control is still yours. At MedBill we are available to you, our clients, whenever you need us, and give you the ability to review your practice’s finances at any time, via the web. This allows you to have total control over your money, except now, the burden of chasing it down and bringing it in is no longer yours. 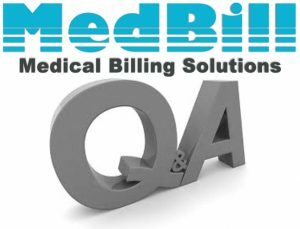 If you have not already made the switch to outsourcing your medical billing, speak to MedBill today and see how our services can specifically help you and your practice.